Where style and passion are born. 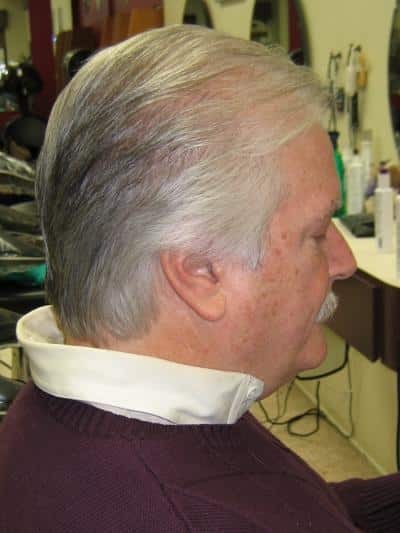 Celebrating 46 years (since 1969) in business at the same location in Huntington Plaza in Shelton, CT.
Warner’s Hair Design always maintains a comfortable and friendly staff. We accept Visa, Mastercard, Discover and personal checks.. Featuring styled hair cuts, blow dry, all phases of hair color, foils, highlights, low lights, hair staining and color corrections. Give us a call or stop by and we’ll take care of the details. Today was my first visit to this salon. J.C. cut and colored my hair, and the results were perfect! She corrected a bad cut I had gotten at another salon, and my color is just beautiful. She listened to what I wanted and did exactly that. J.C. is very nice as well as talented, and my experience at Warner Hair Design was great in all respects. I’ve been a client of Helen’s at Warner’s Hair Design for over 20 years. Helen does an amazing job with my cut and color. I really enjoy coming here and I know I can always get an appointment to fit my schedule. I highly recommend this salon. 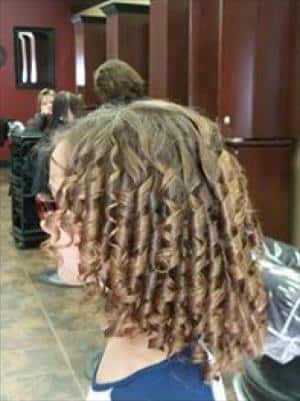 For quality hair care, friendliness and service, Warner’s Hair Design is the best place in the Shelton area. Gina is always accommodating for setting appointments. 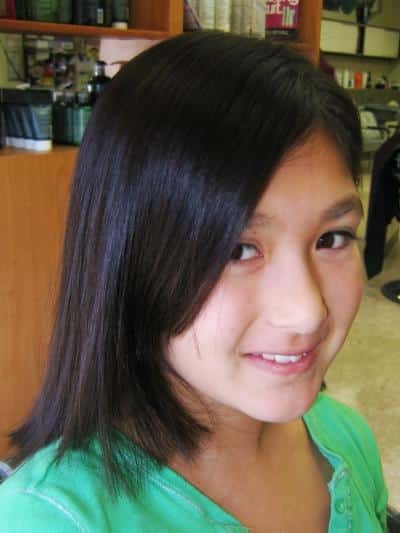 She is an excellent stylist and is always cheerful. I’ve been coming to Warner’s for many years now and am happy that I found them. I’ve been looking for a good hairstylist for over 30 years. I’ve finally found someone who listens to what I want and improves on my ideas. Gina is the best. She was worth waiting for. Thanks Gina!! The entire staff is very friendly. I am recommending Warner’s Hair Design to everyone I know. Warner’s is an excellent place. They treat me like family. I never feel rushed and JC is a very nice person and she always listens to my preferences. I saw Gina for the first time last month after reading all of the positive reviews. I do agree that she did an excellent job. I have another appointment scheduled for tomorrow. Really looking forward to it. I love coming to this salon. Everyone is so welcoming and professional. Helen is a very talented and knows exactly what I want. I recommend Warner’s to everyone I know. Look no further if you want quality service at a reasonable price. The salon environment is very professional, welcoming and friendly. I have gone to both Sandi and Helen for a cut and color and they have each done a wonderful job! Thrilled to have found such a great salon that is in a convenient location. I loved my haircut from Gina! I’m going back! Warner’s is a friendly hair salon where you can feel comfortable and at ease, and know that you’ll feel beautiful when you leave. My most recent visit was great. Every time I go everyone is so gracious. Helen always does great work on my hair, is very conscientious and treats me with the utmost attention. Thank you Helen. The quality and professionalism of the hair design staff at Warners is unmatched. My technician Helen, has successfully found the perfect color for me. I have had so many friends react with genuine surprise over the years when they learned that I color my hair. I would never consider another salon! Exceptional Salon. Warner has cut my hair for 25 years. He is a stylist, consummate professional, and welcoming proprietor. The staff members are consistently friendly and very helpful. Try them, you’ll come back! My wife got me to try Gina at Warner’s. Warner always has a joke of two for me. Gina is excellent hairdresser. She tries hard to accommodate my changing schedule, which is much appreciated. The entire staff are friendly and try to help. I have been coming to Warner’s for over 10 years now. Gina is an artist with hairstyling. She listens to her clients so she understands what they need. The entire staff are friendly, and helpful. I highly recommend Warner’s Hair Design. It will be a pleasant experience. I had an appointment with JC at Warners’ about one month ago. I was a little nervous because I had gone to the same stylist for 15 years. I had always seen a lot of clients in Warners’ ,so I went. I can’t say enough about the cut and color JC gave me. She knew exactly what I wanted. LOVED IT!! The entire staff is very friendly and kind. I felt right at ease. I will be going back, and would absolutely recommend Warners’ to everyone. Thanks Again JC. My hair stylist was JC and she very helpful and pleasant. Since I was happy with my experience, I will be back. The staff and atmosphere at Warner’s is soothing and professional. having a permanent on my next visit. Have been coming here for several years. Wonderful salon! Gina does an amazing job not just on my hair, but my two boys’ hair as well. I have recommended Warner’s to many friends and all have been pleased! This was my first time at Warner’s. Good service. Loved my new stylist Jean. She is very personable and clearly understood my needs. I will definitely be back. I recently relocated to Connecticut from Florida and was fortunate to have JC color and highlight my hair. She was very professional and friendly. After taking the time to consult with me, she knew exactly what I wanted. I am so pleased with the results and will definitely go back again for my next touch up and cut. Warner and all of his staff made me feel right at home as soon as I walked in! I have had Carol and JC do my hair, they are both professional and experienced and gave me the look I wanted. I will definitely recommend Warners hair design to all my friends and family! I went in for an appointment with JC for a perm last week. I couldnt imagine going through the summer with long straight hair that had no body. It even looked bad in a pony tail. After asking me lots of questions about my hair and condition of it, she asked if I would consider going shorter and really layering it and NOT getting a perm. She rewashed my hair and started over. The layering produced the “light” feel and gave me the body I needed. I have gotten lots of compliments and I love it! It even looked great after a day at the beach!! Thank you to Warners for not just going for the “big ticket” perm but telling me what would really work for my hair!! Visiting Warners is like visiting friends. The entire staff is so friendly. Helen has been my stylist for over 10 years and I am very pleased with the way she does my hair. She always makes me feel that while I am in her chair I am her priority. It is a very relaxed atmosphere and a fun place to visit. Carol has done my hair in the past and it has always turned out wonderful! Everyone in the salon is so friendly! I’ve been a client of Warner’s for about 20 years. Over the past several years, I’ve been going to JC for my needs. She is wonderful – I always leave looking fantastic. I constantly get compliments on my hair. I moved to Tampa, FL for a few years, but would fly home to have my hair done by JC (several times a year….yeah…she’s that good!!). Every treatment, dye job, and cut have been perfect! I have been coming to Warner’s since the 1980′s. Everyone in my family comes here. 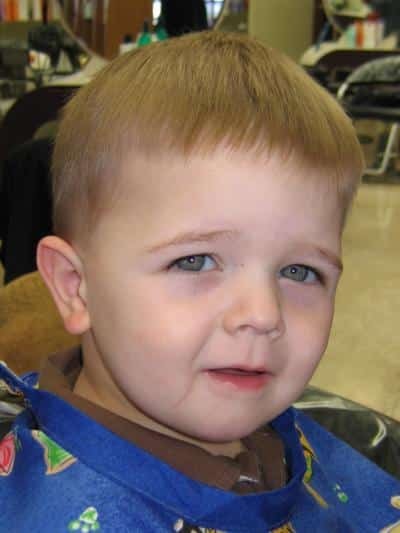 I will never forget when Warner used to come to our house to give my Dad and Uncle a hair cut as they were both sick and both homebound. Not many beauty parlors provide such wonderful service. I always like the way Warner does my hair and many times I ask him for a new style and he does something different for me. It’s always a good experience when I come to Warner’s Hair Design. Just had my first foil appointintment! Results were great! Gina thank you so Patmuch! Just want to add to all the positive comments about Warner’s. JC has been cutting my hair for about a year and she is wonderful. She really listens to her clients and she is really, really good at what she does. Also, the salon is pleasant and extremely friendly. Despite the fact that it is a 40 minute drive for me and there are salons within 5 minutes of where I live, JC gives the best cut I have had in a long time and I will keep coming back. After many visits to many salons in the area this salon will be my last stop! JC was recommended to me by a friend – she did a beautiful haircut! I am very pleased with the service I received and JC especially! I will be returning! – JC is such a lovely, friendly and welcoming person and a Terrific hairdresser!! Thank you JC! I recently relocated to Connecticut and was in search of a new hair stylist. My search ended rapidly with Warner’s Hair Design. His wife, Jan, took my appointment and was very warm, accommodating and informative. The shop is very nice on the Huntington Green. Warner gave me an excellent cut in short order and at a very reasonable price. 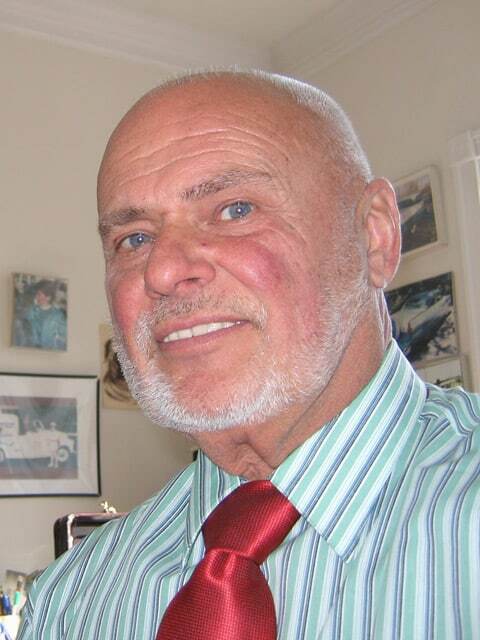 He is a very upbeat guy, interesting, with a sense of humor, and a great conversationalist. I would highly recommend him to anyone. I’ve been going to Warner’s for many years! Helen has always taken great care to see that I leave with my hair styled just the way I like it. She is always very friendly and so easy to talk to. JC has fixed my eyebrows so that they actually match now! And it doesn’t even hurt! She, too, is very friendly. What a team!! My first visit to Warners was a haircut with JC. I’ve been coming here my whole life, and the staff are absolutely the best. My tastes have changed over the years and yet they always seem to know exactly what I like. 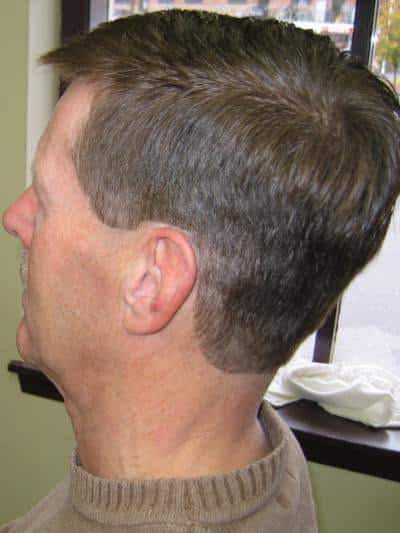 I’m never disappointed with the cuts I get, and the whole atmosphere of the place is very friendly. I went into Warner’s today to get a haircut, and to my surprise it was a very relaxing experience. The staff was very friendly and my stylist, Victoria, did a great job! She made sure everything was up to my liking and even went back and adjusted things she noticed that I didn’t. She was very friendly and went above and beyond what I expected her to do! She even shaved my Lip!!!!! The environment was calm and pleasant and I even noticed the kids got Balloons!!!! I really would’ve like a balloon but I’ll leave it to Warner’s to extend their joyous experience!!!! Elise and I got fantastic hair cuts from Gina today! Gina knows how to handle every kind of hair style! 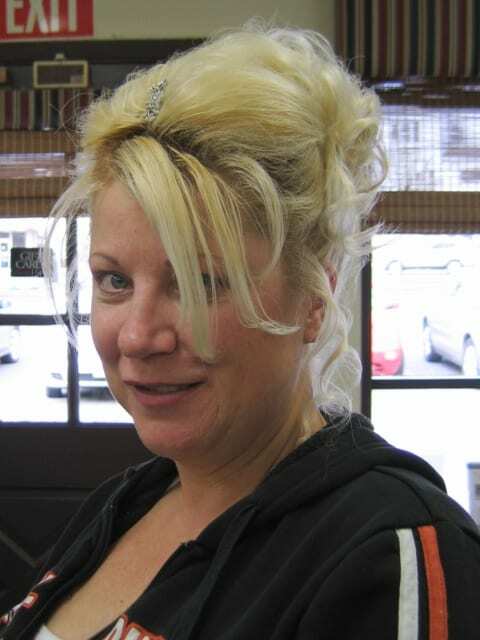 Helen is more than a great hair stylist, she is also a friend and confidante! After almost 30 years of gold-standard cuts and colors, I remain committed to the best salon in the area. Warner and his staff always deliver and I am grateful that I can count on Helen to keep me looking my best. I am new resident to Huntington and your salon, and Carol came highly recommended to me by a dear friend. Carol did a terrific job, doing exactly as I asked. I couldn’t be happier with my perm & cut. Carol was very nice and friendly, as was the entire staff. Thank you so much for making me feel comfortable with a new salon. 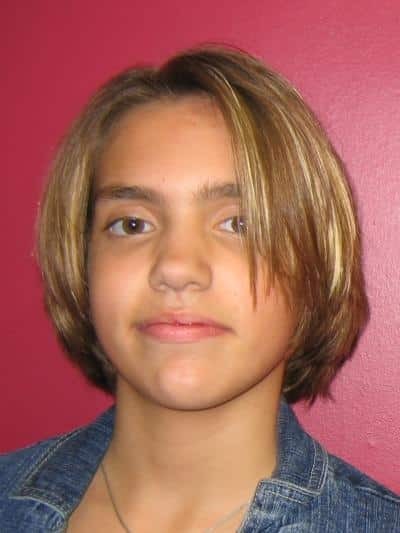 After my hairdresser moved out of state, I was having a lot of trouble finding someone to cut & color my hair. I went from one salon to another. Another customer of Warner’s recomended Gina and I have been with her for the last few years. She’s been very patient working with me to achieve the hair style and color that I want. Everyone is so friendly and it is very comfortable. My former hairdresser of almost 30 years moved to FL but she recommended JC. I had my first visit with JC several weeks ago. She took lots of time with me to get it “right”. It looked really good when she finished and I got several compliments on it. The shop is very hospitable and friendly. While I was getting my “do” Warner entertained my hubby which helped the time go by for him. I am pleased and will continue to work with JC so we can make my gray hair look up to date and chic. I visited the salon without an appointment on Tuesday, February 19th. Vicky was my stylist. I was looking for something updated and different and still wanted to keep my hair length. She asked me some questions and went to work. I love my new bangs and flowing layers! She even helped me decide on a birthday gift for my son! She shared her knowledge of hair care products that would work for me. It was like I had known her for years. I will be retuning to have Vicky style my hair again and again. Thank You Vicky for taking care of me. The staff at Warner’s are always smiling, professional, and knowledgable. My entire family has been going since we were kids, and I have no intention of going anywhere else. Carol at Warners cut my hair she is great. I will be going back. Warner the owner was very friendly and warm it was my first time there. I reccommend Warners to anyone looking for a friendly, warm salon. I’ve been going to Werner’s for about 10 years now and it’s always a good experience. JC always does a great job on my hair and she is always friendly and welcoming. There’s no reason for me to go anywhere else. Warner’s is a great, friendly, comfortable hair salon. Janet D is my go-to operator, but I wouldn’t hesitate to trust my head to any other members of the staff! Gina has been cutting my hair for years, and she always does a beautiful job. I recently decided it was time for a new look & dramatically cut my hair. I was so nervous, but Gina offered suggestions & assured me everything would be fine. Sure enough, it was! I’ve never gotten so many compliments before. Some even said I look younger! Thank you, Gina!!! I have been going to Warners for over 20 years. Carol has been doing my hair for many of those 20 years. I can’t imagine anyone else doing my hair. She knows exactly the right color and cut that works on me. Everyone there is very friendly and welcoming. I just starting going to Warner’s and I am very pleased. Not only am I satisfied with the color JC gave me, but also with the excellent cut. All I have to do is blow dry my hair and finger comb it for a great style. That is how you know a good hair cut. I also enjoy the friendliness of the entire staff. I feel like I have known them for years. Warner’s has found a new client for years to come. Vicky recently gave me a great cut with highlights. She was very friendly and professional. The staff is so friendly and accomodating as well. I will definitely be coming back. Thank you for such a wonderful salon day. My name is Sheryl and I have been a custumer at Warner’s since I was a child. My mother and I would always go there together. They always treat me like family. All the stylist are very nice. Everyone is always so friendly. They always have coffee for their cutomers and a smile on their faces. All the stylists are very talented and good at what they do. I would recommend Warner’s to anyone. Recently went to Warners for the 1st time. 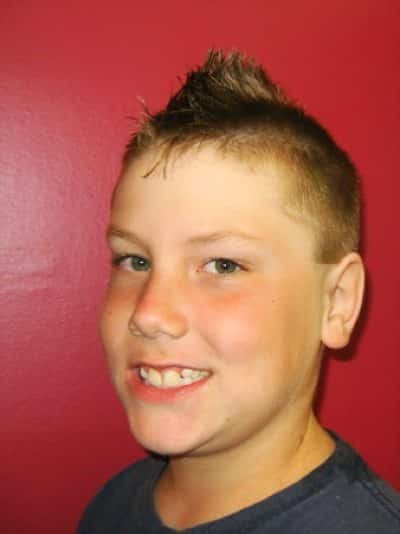 J.C. was extremely professional, consulted with me throughout the haircut and did a great job! I definitely will be going back. It is always a treat to come to get my hair done at Warner’s. Warner always does my hair the way I like it and he gives me tips on what shampoos are best for me to use. He always has a funny joke too. And everyone at Warner’s is so nice. I feel at home when I go there. After finally stepping back into my much needed hair care, I was thrilled at the outcome given to me by J.C.! I walked out of the salon feeling 100% better, J.C. listened to my concerns and gave me exactly what I wanted! The color, the cut, the highlights, everything!!! The staff are like one big happy family, they are wonderful and fun to be around! If you have difficult hair like me, and are afraid nothing can be done, I’m here to tell you that it certainly can! Don’t wait, make an appointment at Warner’s Hair Design, you won’t regret it one iota! JC is like the sister I never had! I have been going to her for decades! She also cut my girls’ hair when they were young! She is a very special lady, not just a talented hair stylist, but I believe she truly cares about me! We have great conversations! Jan and Warner are such fun and caring people too! When I go there, I always leave with a smile! And I adore Madison, their newest member, as she always makes me feel welcome! J.C. recently gave me a cut and highlight. She was extremely professional, and took the time to get to know exactly what I wanted, ensuring that I was happy with the outcome. I will definitely go back for my next service! Started with Gina recently, because my wife recommended her. She is good, professional and very pleasant to talk to. Gina has done my hair two or three times now and I am very satisfied. She had been recommended by Dolores Smith, whose hair I had admired for some time. It’s nice to have such a friendly and professional hair salon so close to my home in Aspetuck. My family has been getting their hair cuts at Warner’s for about 15 years now. 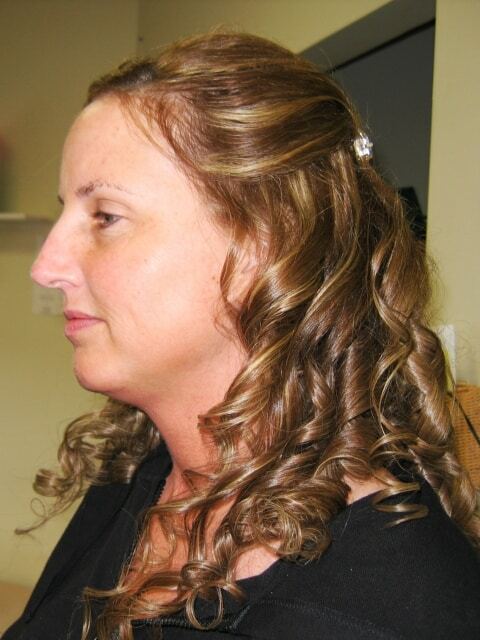 Gina has been our stylist and has done an outstanding job. She is realiable, professional and does a great job. My family is notorious for booking last minute and Gina somehow seems to squeeze us in. At times when we couldn’t see Gina, the other women did a fabulous job as well. The entire staff is friendly and accomodating. Kudos to Warners!!!! I have been going to Warners for over 30 years. The staff are always warm, welcoming and friendly. Sandi and Helen always do a great job with my hair. It’s always a pleasure to come in. Carol at Warners was highly recommended to me by a co-worker. The staff is so friendly and accomodating. I got a great cut and color and will definitely be coming back. As long as I have been going to Warner’s, the atmosphere has been friendly and a pleasant experience. You walk in with your hair a shamble and walk out looking like a different person. I want to thank JC for her professional manor and for the nice job she does on my hair. Gina was recommended to me by my daughter,my sister,my granddaughters and I am so glad I listened! In Gina I have found “my” hairstylist! and Warners is a comfortable,pleasant salon that is always a pleasure to visit! Just a day before a wedding the person who was supposed to do my hair, told me she had to go Fla. and could not do it. I got an appoint at WARNER’S and now going there all the time. Also, I mention it to everyone I know. “JC” has been so kind to me and suggesting something. I enjoy being there every time I’m there. I love Warner’s Hair Design salon. Jan Delmore has been doing my hair for 20+ years. She is wonderful. I always leave the salon feeling great about my hair. In addition to Jan, everyone at the salon makes you feel like you are visiting with friends. I highly recommend the salon. BTW – love the salon’s new look. Very NICE, VERY COMFORTABLE!!!! I LOVE going to Warner’s Hair Design. Everyone is so friendly and I have such a good time when I’m there. I’m going again today for a color! see you soon!! New to Connecticut and was lucky to find Warner’s! Prices are reasonable, the staff is so friendly, and conversation was wonderful! Best of all my hair looks great! That’s no easy task since I have a thick mop of hair that has had it share of bad cuts & color. Feel confident in going here…they do a great job and, if you are lucky, you might even get to meet “Fergie!” I did! Everyone at Warner’s Salon is wonderful and very good at hairdressing. I would recomend them to anyone. They are easy to find. Their prices are also resonable. They recently renovated the shop and it looks wonderful. When you arrive at the shop you are always greeted by name and with a smile. Thanks for everything. I’ve been using Jeena for several years and couldn’t be happier. She always has a pleasant happy disposition. Fabulous service – Gina was great and very accommodating. Definitely will be back! I have been going to Warner’s for over 20 years. I love everyone there, especially Helen who has done my hair since Shelly left. Everyone is friendly and always smiling. Carol at Warner’s was highly recommended to me by my friend Eilene Paoletta. I am so glad she did so. 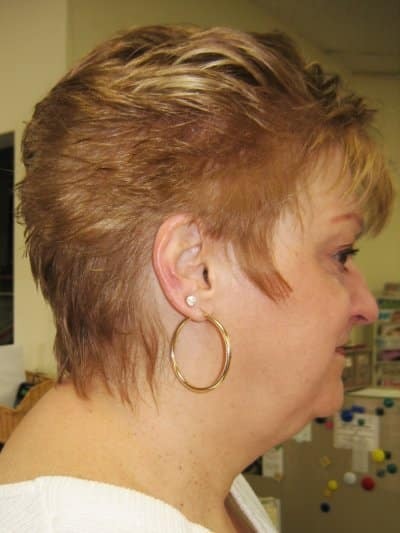 Carol was so friendly, and she really listened to me when I tried to explain what sort of cut I would like. She did a great job, and I am lucky to have found her. I’ll be coming back for sure. What a great hair salon! – – – love the new modern decor. Everyone is always so friendly and cheerful. Gina does a super job in record time. So glad to have a quality beauty salon right here in town. I’ve been going to Warner’s since he worked alone. What a wonderful business it’s grown to be. Have had many different people over the years but have been going to Helen for a long.time. She’s the best & always knows just what I need to look good. Hope Warner’s is around for a long time—– would miss Warner’s jokes.!!!!! I have been going to Warners for many years and would not think of going anywhere else. Helen is great and has always done a wonderful job, whether it’s a perm, color or cut. I have received many compliments on my hair thanks to Helen’s expertise. I enjoy the atmosphere at Warners, which is always relaxing and friendly. I have been going to Warner’s since I was a litle girl with my mom (too many years to count). The atmosphere there is very warm and caring. Everyone is always so friendly and kind. Since they have know me for so many years they know my whole family and always ask about them. I always walk out with a great hair cut. If I get a perm or highlights the results are wonderful. I would never go any place else for a haircut. I have been going to Warner’s ever since we moved to Shelton about six years ago! I tried a few other salons right nearby -no-one was as friendly and as down to earth as the folks at W’S Hair Salon. Carol has been cutting and coloring my locks for quite a while. We have had fun chatting about lots of gal stuff! It’s always comfortable and a welcoming spot to visit! I have been a customer of Warner’s for many years and have always been highly satisfied. Warner and as well as the rest of their staff are very friendly and warm people, who make you feel comfortable and relaxed the moment you walk in. My daughter recently got married and Gina did such a beautiful job with my hair. I received so many compliments. Gina has been doing my hair for quite some time. She is very knowledgeable and has made many suggestions to me that really worked out very well for me. Mom started going to Warner’s in the 70’s and I have been going to Warner’s on and off (as I moved back and forth to and from CT) for years. Everyone is wonderful, but best of all is Carol. She came in after the birth of her first grandchild to do my hair for my wedding! I had a little stress going that day and it would have been really hard to have a hairdresser sub (even though Gina had been prepared and I am sure my hair still would have looked great… I really needed the comfort of Carol and knowing that was one less thing to stress about). Service and satisfaction with lovely, friendly people, how rare to find in any industry today, unless you go to Warner’s! Thanks for years of it. I have been going to Warner’s for seven years and am very satisfied with the services. I have my color done, my perms and haircuts and am happy with all. I’ve been going to Warner since 1979. A friend referred me to him and it was the best referral I have ever had. My hair always looks great and I’ve received compliments when I travel from other professionals in the business. It’s always a pleasure to go to Warner’s after a long week at work. It’s relaxing and always fun to hear Warner’s latest joke! Looking forward to many more years as a customer. It is impressive to see the longevity of many of Warner’s customers. I too am a long time customer; since 1978. During this time, there have been many changes in my life, every 3rd Saturday 6:30 A.M. (my standing appointment) hasn’t been one of them. When something works; you stay with it, no matter what distance you travel to get there. Thanks, and looking forward to the next 30+ years. I have been a customer of Warners for many years and can’t imagine going elsewhere! Helen is a great stylist and I get many compliments on my new look. Thanks to all for many great years as a customer! Keep up the good work!! Gina is a fantastic stylist. She is pleasant, upbeat, and professional. Her hair cutting skills are excellent. The salon looks great! The new floor and room arrangement makes the environment larger. Gina was recommended by a friend and I’m SO happy to have found her rignt here in Huntington. She has not only restyled my hair but has taught me how to manage it in between haircuts. She’s an exellent teacher as well as a creative artist. You are very lucky to have her on your staff and I feel lucky to have had my friend suggest that I go to Warner’s and ask for Giina. Here’s to many more years together!! Love, love, love JC, her haircuts and Warners!! JC always does exactly what I ask. My haircuts are just what I want. . . low maintenance and look great! I’m not the type to make a scheduled appt. and she’s always as accomodating as can be within reason! JC has a great personality and is fun to talk to. I’ve been going to JC since I moved to Shelton (14 yrs. ago) and have always been very happy!!! 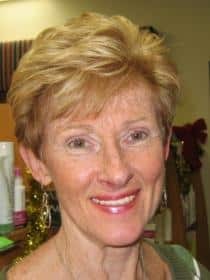 I have Carol cut and color my hair at Warners…she is always accommodating to my busy life with 2 jobs and always fits me with a welcoming smile and a kind word. Many people have commented on the cut and color and I am happy to refer them and give directions if needed. I never ever have to worry about my hair being a color that appears to be…lets just say…slightly unnatural (purple):)…Thanks so much…I just love you all! I have been coming to Warner’s hair salon for 30+ years and wouldn’t consider going anywhere else. I live and work in Stamford so it is a hike, but I just love Helen. I have been going to Warner’s for close to 30 years. My daughters have also been customers. Helen does an excellent job. I wouldn’t go any where else. Its a nice friendly place where everyone knows your name. Hmm, maybe you should serve wine and beer?? We’ve been using Warner’s for years. The boys got their first haircut there. Everyone is very friendly. I have been coming to Warners now for over 25 years and I am always satisfied. My sister Margaret was the first to come to Warners and she told us how great he was so my Mom and I started going too. Warner has become not only our favorite hair stylist but a good friend we can count on. I always enjoy going to Warners to get my hair done. I like his jokes and his coffee is good too!!!! 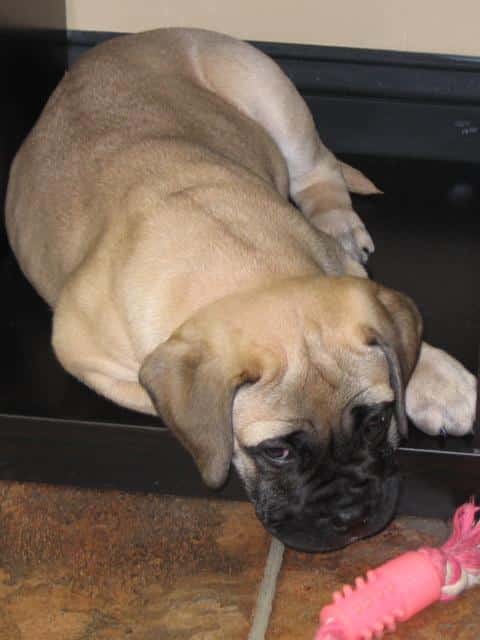 And Fergie is cute!! I have been going to Warner’s since moving to Huntington…..about four years. It is a friendly, up to date salon…..even Warner’s dog fits in with his friendly greeting to all customers! Gina is a great stylist and it is always a fun experience when I go there. Keep up the good work everyone! I love your web page! i moved from mass to conn.finding a new hairdresser was by far the hardest part of the move. finally found ” warners’ and “jc”. great combination- love her! great stylist! I always leave there with a smile on my face! or thinned my hair LOL. I have been a customer for many years. Sandi does a great job with color and cutting my hair. It always looks great. Also, thank you Carol for doing a great cut too! Everyone is very nice at Warner’s. i have been a customer for a number of years. i love the way my hair is styled. it is easy to maintain. p. s. you can’t beat the price. Carol is the best. She is always supportive with any “change” or “ideas” I have with my hair styles. She always accomodates our crazy schedules and fits us in whenever we call with last minute requests. I love this place. Not only do I get a wonderful hair service, it is a great place to kick back and excape all of life’s distractions. It is homey and fun. Everyone is so friendly and I love Warner’s jokes. Gina gives the best hair cuts and colors. She always knows exactly what to do, even when I don’t. Carol, you always know exactly what’s right for my hair…the color and cut are always perfect. My last “trial” style for the wedding got so many compliments. Thank you Carol for understanding how to manage my hair. You make it so easy for me and I am always happy when I leave feeling good. I saw a hair style in one of the salon books that thought would look good. So I decided to go ahead with it and change my hair style and color. Carol did an excellent job. I LOVE IT including my family and friends! Thank you so much Carol! Our entire family goes to Warner’s — my husband and I and our 3 kids. My kids have been going since babies, and Warner’s is so accomodating. My 3 kids and I have Jan D. do our hair, and she is great with teenagers. None of us would think of going elsewhere. Everyone is friendly and welcoming! We have been at Warners for 20 years. What would a Friday be without my weekly visit to Warner’s? I have been a customer there for more than fifteen years and have never left there dissatisfied. Carol has seen me through my brown hair stage, my grey hair years and my current silver/white hair era. People comment on the style and ask where I have my hair done. The entire staff is friendly, always making me feel welcome….they are like family to me. Where else can I go and be greeted by a beautiful four-legged pet who immediately bonds with me? Warmth, style, and class make my Friday visit to Warner’s a real pleasure. The atmosphere is great ,everyone is very friendly and I loved the results. I finally found a salon that has it all. I love going to Warner’s…warm and friendly atmosphere,plus. coffee ,and jokes. Carol and I have known each other a long time….she does a great job on cut and color of my hair….always completely satisfy when i leave the salon. I love the website! Warners’ Staff is so friendly and nice. I always recommend Warners to my friends. I hope I will be chosen to receive the 10% off my next solon service. 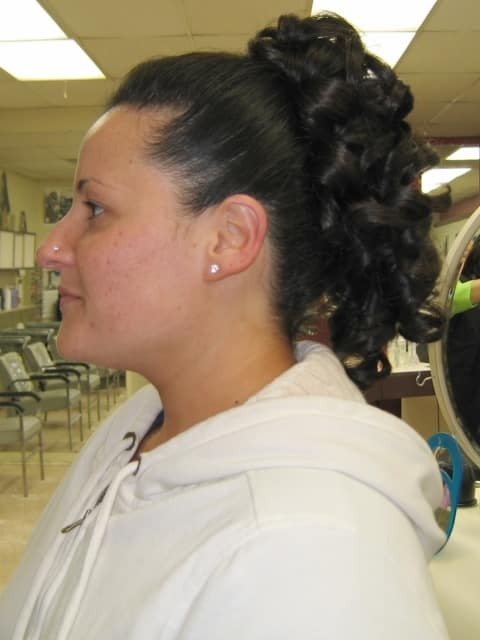 I live in Waterbury but travel to Shelton to have my hair done by Carol. The trip is worth it. Everyone at Warners is warm and friendly. I wouldn’t go anywhere else. I have been going to Warners for about 3 years now. Carol does a wonderful job. I always get compliments on my haircut. I look forward to Fergie greeting me when I walk in the salon. Everyone on the staff is friendly and personable. Who is that fox in the front row?….or is it a zebra in those stripes? Must be my personal favorite Jan Delmore, having fun with the staff at Warners. Actually all of them are talented and helpful, as I’ve needed the skills of a few others over the past 35 years that I’ve been coming to Warners, and my daughter who lives up in Newtown still makes the trek down to see J.C. when she can. Now, if they could just do something about Fergie’s shedding problem…..ha! Thanks Warner and Jan and all your staff. Keep up the good work. You are definitely the best around. THE BEST BEAUTY SHOP AROUND. iTS ALWAYS CLEAN AND VERY EFFICIENTLY RUN. WARNER, JAN AND THE STAFF ARE VERY FRIENDLY AND ALWAYS DO A GREAT JOB. Gina’s my hairdressing angel. I get so many complimentgs after she’s done my hair. 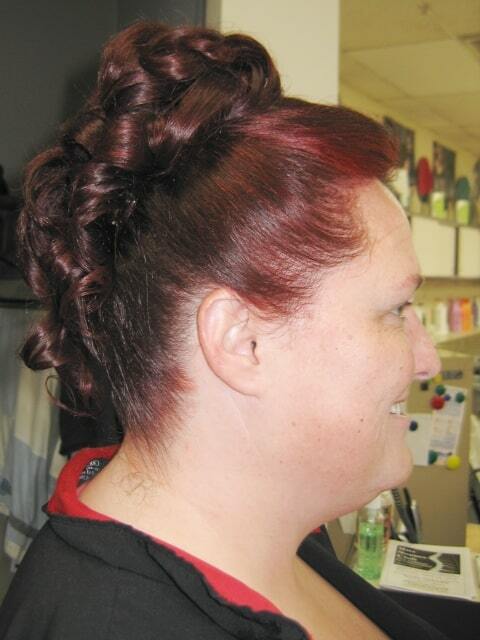 Her expertise and the salon’s friendly atmosphere, plus their good service, keeps me happy and coming back. I have been a client at Warner’s Hair Salon for almost ten years! My hairstylist is the lovely and talented Helen Gray. I trust her with my full head of hair. She is pleasant, eager to please and always offers her professional opinion. My hair has never looked better! I get so many comments from friends and family. Warner and his stylists wear smiles and make you feel welcome. I look forward to my demi color and wash/blow out every 5 weeks. I leave the salon feeling confident that my hair style and color will outshine any home product coloring kits. Take the time to visit Warner’s and I promise you you’ll look and feel BEAUTIFUL!!! P.S. Only my hairdresser knows!!! : ) Thanks Helen!!!! I’ve been a Warner’s customer for many years. I’ve always been pleased by the way Helen does my hair with individual and unique attention. I have always trusted her to cut and highlight my hair, and she always caters to my special needs. Warner is a really nice guy. I had my haircut done once by him plus I work next door and he is so friendly. I also has my hair cut today 7-21-10 by JC she was great. I hate getting my hair done because it never comes out the way I like it.I do not like change, but JC cut my hair just right. I will definitely be back!!! Warner, Jan and their staff are the best around. I have always found Carol to be an excellent hair dresser. She has always managed to fit me in whenever I needed service. I just started going to Warners, maybe about a year and a half agol and I love everything about it. My hair and color needed a makeover and it all started with Carol. She transformed my hair and color and ever since then i have been a fan and client. I have also had others like Gina and JC give me a great cut. Everyone of you has talent!! I am yours forever. See you all soon and thanks for being there for my hair needs! JC takes care of all of my hair needs. I leave the salon feeling pampered and special. JC, Gina and Warner make me feel like part of their family and Jan does too when I see her. I look forward to hearing what has been going on in their lives since my last appointment and they listen to all of my comings and goings as well. Your hair is a frame for your face and I buy all of my frames at Warners. I have come to know JC as a true friend, Gina and Warner too. I have been going to Warners for more than 20 years and have received the best treatment ever. Warner and Jan are truly wonderful owners and friends. My hair stylist is Helen and has been since Helen graduated from hair design school. I love going for my appointments for the humor of Warner the friendliness of the staff and for my wonderful stylist Helen. I look forward to Helen doing my grey hair someday but for now I will let her color and style for a long time to come. My love and gratitude to all of you and keep up the wonderful salon of friendliness. After many years contemplating what to do with my long straight hair worn in a ponytail, I decided to go to JC for a change. JC styled and highlighted my hair perfectly. JC took the time to understand my need for an easy haircut to go along with my busy schedule. I could not be happier. I get so many compliments where ever I go. I am eager to tell everyone to go to Warner’s Hair Design. Everyone at Warner’s is so friendly. Thanks JC. I will be a customer for a long time. Hi, I have been a very long and satisfied customer of JC’s. I enjoy going to Warner’s because they always make you feel like part of their family. I never have a problem getting an appointment. They are all very congenial and helpful. What a great place to have your hair done. I have been with Carol for quite a few years now and am always pleased with the results. The salon is professional but also has a neighborhood-friendly atmosphere. I have been happy client for many years!!!! Love Carol!!!! Warner has been taking care of my hair for over 25 years. He does a great job and as always he and his staff are very friendly and polite. I enjoy talking with Warner as he cuts my hair. Whenever I call he works to accommodate me and this has been a big help. Thank-you Warner and All your staff. I have been coming to Warner’s for quite a few years now. Carol does a great job with my hair and I always leave with a great feeling of confidence after she beautifies me! All the staff is so warm and friendly. I love Fergie, she is a great therapy dog. The atmosphere is always very friendly and relaxed. Everyone is very professional but in a warm way. I love the flexibility of the hours that are availabe. Carol can always fit me in, in a pinch!!! artist. Numerous folks have asked – where do you get your hair done? Now that is a compliment!! I have tried a few other places, but now I am home. I’ve been coming to Warners for over 25 yrs. Christine, Warner’s daughter used to do my. (even went to her wedding!!) Then she started to cut our son’s hair (he’s 22 now) Jan used to cut my huusbands hair (he hardy has any but don’t tell him I said that). Jan Delmore keeps me looking pretty darn good these days (our sons went to Prep together). So I feel that Warner’s is my family and love coming to get beautified!!! and talk about books with Jan. Everyone is so nice..thank you!!!! For more than 20 years I have been very satisfied with the services provided by the staff at Warner’s. That should speak volumes about a local business that serves my needs. Carol Stein really knows my stlye and color needs. Warner’s Hair Design is the best!!! I’ve been going to Warners for 20+ years. Carol has been cutting and styling my hair for quite a few years. She does a great job.. All the girls are friendly and helpful. Warner usually has a joke to tell, kind of like the joke of the week.. Great place to see friends and neighbors that I haven ‘t seen for awhile.. I just experienced my first appointment with Warner and believe me –it was great! was appreciated. I look forward to my next appointment. I used to have very long hair and Carol cut it for me last year. I get compliments on my hair all the time and I’m maintaining the shorter look! I love going to Warner’s and the staff is always friendly! I especially love seeing the store mascot, Fergie, when I go. And, by the way, Jan Voelpert is an awesome runner! I love my cut that Gina gives me. She is always sweet, kind and welcoming. Very professional and the entire staff is GREAT! Highly recommend to all. Everyone is always so nice. JC does my hair and she always does a very good job. She is always on time. The shop is always very clean. The dog is very cute too. Thank you all. I have been a very happy customer of Gina for 10+ years. I am always happy with my haircut, highlights and root touch-ups and always receive compliments on my hair. I don’t even have to tell her what to do. She always knows what I need. The staff is so friendly and helpful and make you feel welcome. I wouldn’t go anywhere else. Gina, thanks for always making me look so good!!!!! I have been going to Warners hair salon for about 13 years. I have the most problematic hair possible, but Carol really makes it look great. She gives the best haircut ever which makes it possible to look good all the time. When you go to Warners for your appointment it’s like meeting the girl’s for an afternoon out. All the girl’s are friendly as well as talented. Warner and Jan have done a great job in making this a succesful business. I will never go anywhere else. Warner’s staff is friendly and welcoming thanks again to everyone. This was my first experience there and it was great, I wouldn’t go anywhere else. Warner’s has always done a great job with my hair. The shop has a very warm and friendly atmosphere. I’ve been a customer for 15 years and I wouldn’t even consider changing salons. Great job girls and guy! I have been going to Warner’s for 30 years now and it has been the best referral I have ever received. Warner always has me looking nice. Warner is great and all the girls are too. The atmosphere is also great. Everyone is very friendly and cheerful especially the greeter at the door.Warner always has a joke or two to start your day and make you laugh. Gina..ALWAYS does my hair.. the reason is because she gets it! I’ve never walked out of Warner’s after Gina’s done my hair feeling less than my absolute best..in fact, I arrange my visits to Gina before an event so that her special talent will last as long as possible before I have to wash it and do it myself. However, the sign of a good cut is that after you leave the salon and wash your hair yourself, you can almost create the same look you left the salon with. Gina does that, and I have received many a compliment on my hair, and people asking where I had it done. “At Warner’s in Huntington Center”!! I would like to say how pleased I am with everyone at your salon. First of all everyone is friendly and you feel welcome immediately. But most important, I first came to the salon with a hair problem and JC took the time to listen and help correct my hair – and has continued to please me very much with her styling. I am sure I will be a long time customer! I have been to Warner’s Hair Design a few times now, I’ve been looking for a new stylist for months and I found her, J.C. you are the best. Warner, Jan and the staff that I have met are warm and friendly. The prices are great, I spent 3 times the amount for a haircut and was never happy with the results. I am one very satisfied customer. Everyone at Warner’s is friendly and helpful. The service is very customer focused and the hair styling is great. One of the many things I love about Warner’s is the flexibility of scheduling appointments in our busy schedules. I would highly recommend Warner’s for their great services and friendly atmosphere. JC is the best hair stylist ever. 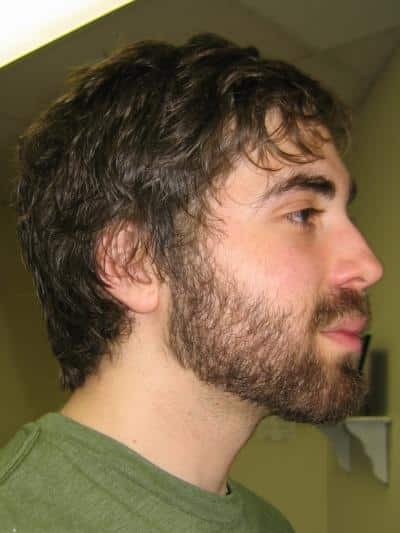 We always have a great time trying to decide if I am going short, or letting grow. She is really fantanstic with setting up my color. I really do not like to go anywhere else. THANKS JC !! I’ve been going to Warner’s for about 16 years and wouldn’t go anywhere else. My girls are teenagers now and still go there for the latest styles. Warner always answers my product, style, color, hair health questions. The stylists are friendly and the shop is always clean with a welcoming atmosphere. Warner has always done a great job on my hair and the entire staff is friendly and great. I have been a very satisfied customer for almost 30 years now I think, and I wouldn’t go anywhere else. My family and I love Warner’s! Gina is absolutely wonderful! I have always been happy with her work and I totally trust her thoughts, input on hairstyles and her skills! I enjoy the laughs I have here too.